Large, commercial trucks, semi-trucks and tractor-trailers spend thousands of hours on the road day in and day out. The miles covered and the heavy loads put lots of wear-and-tear on these vehicles — the wheels, the brakes, the tires, and more. Poorly maintained trucks, with the potential to cause disastrous accidents, put others on the road at risk. Continual maintenance and inspection are essential to keeping trucks safe and on the road. Unfortunately, because of the cost of maintenance or simply the cost of having a truck off the road, many trucking companies and truck drivers fail to maintain their trucks, putting poorly maintained trucks on the road every day. When a large commercial truck and a passenger car collide, the passenger car comes out on the losing end with its occupants suffering the most serious injuries. 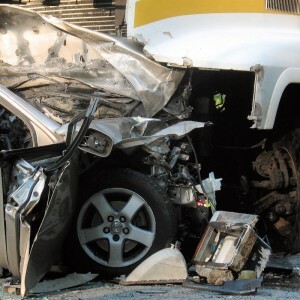 Truck accidents caused by poor maintenance are preventable. It is the responsibility of the commercial truck driver and his or her employer to ensure their commercial trucks abide by the FMCSA regulations. Some of the most important regulations govern the inspection, repair, and maintenance of these commercial vehicles. 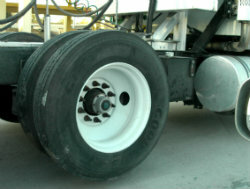 Equipment failure can also include manufacturing mistakes or design errors; however, usually failing to properly maintain a truck’s equipment causes many of these types of accidents. In the Kansas City area, the truck accident attorneys at Nash & Franciskato have the resources needed to fully investigate your truck accident and know what to look for to determine if poor maintenance was a factor. This may mean working with accident reconstruction or other technical experts who understand truck maintenance issues to determine the cause of your accident and identify the parties at fault. Our goal is to help you and your family put your lives back together by obtaining the compensation you deserve to restore your health, pay medical bills, regain a sense of security, recover lost wages, and take care of other serious consequences. In accidents caused by poor truck maintenance, there may be more than one party liable, which might include the trucking company, the truck driver, mechanics, or others. The experienced truck accident attorneys at Nash & Franciskato will help you recover compensation from all parties responsible. Contact us today for a free, no-obligation review of your case.